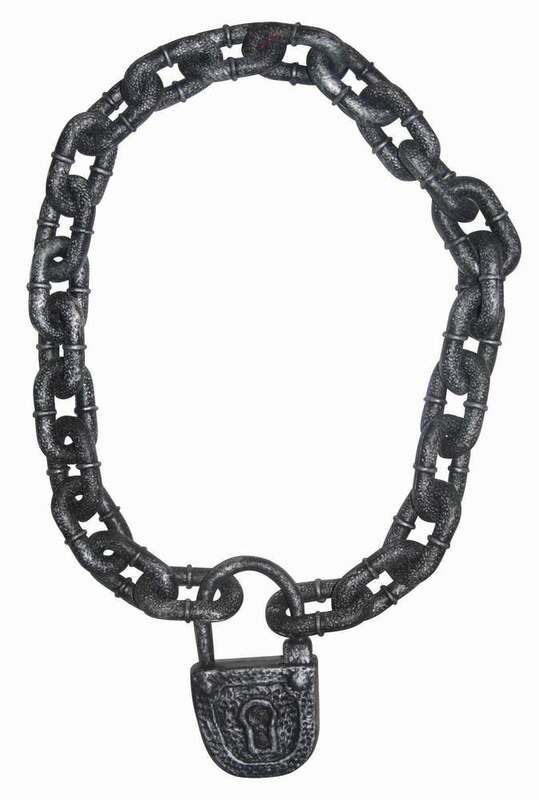 This giant chain and lock will look great in a dungeon or prison scene! Made of plastic. Measures 37" long.